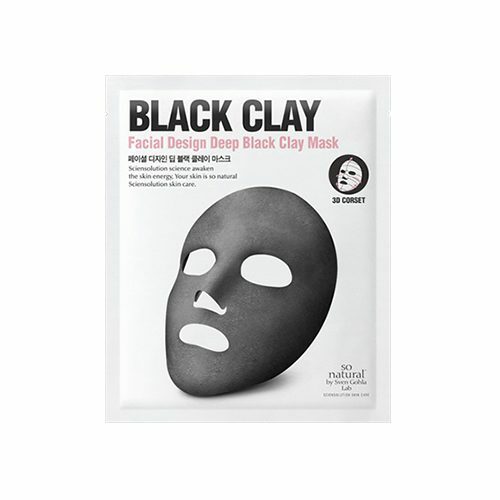 So Natural Black Clay Mask removes dead skin cells from the surface and pores, for a deep cleanse while tightening pores and improving your skin texture. This unique clay mask is highly adherent and stays on without slipping out of place. Made of charcoal, clay, volcanic ash, and vegetable contents, this mask removes waste and impurities from the skin and boosts the elasticity of your skin. 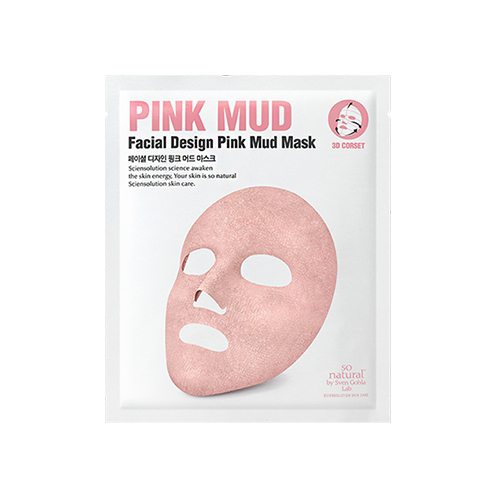 Its pink mud content absorbs sebum, impurities, and dust to keep your skin tight and elastic!! The facial design pink mud mask has separate top and bottom pieces for optimal coverage and contouring to the face. Activated volcanic ash and a blend of plant extract detoxifies and cleanses the skin, while providing hydration and a nutrient boost for a clear, radiant complexion. Use this product once a week. After face wash, put on your toner for a clean base, and open the pouch and removes the transparent film, place the mask on to your face and remove the film on the other side. Place the top part first and the bottom. Wait 40~50 minutes until the mask completely dries. If your skin feels tight and the mask feels completely dry, hold the top and bottom parts at the same time and take off the mask to the side. Rinse your face to remove all residues.